This is not a stocked product and is ordered on demand. Please allow an extra 5-7 business days for delivery. Play back and edit scanned sheet music and PDFs. 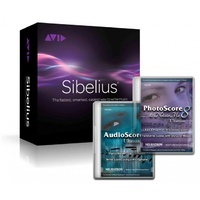 Use on its own, or with Sibelius, Finale, Cubase and most music programs.